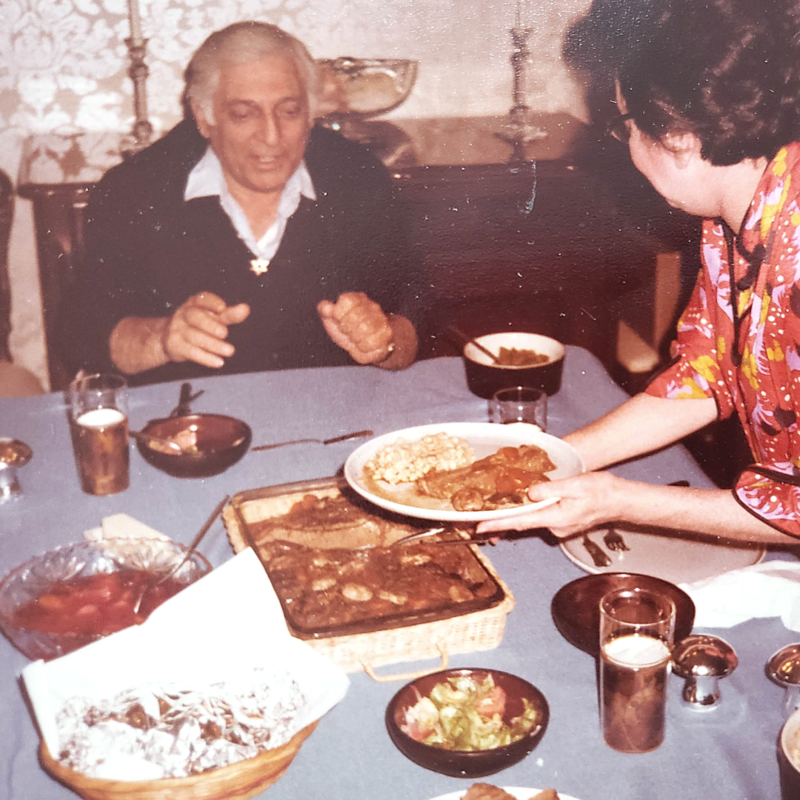 It’s finally starting to warm up a bit… and even though I’m still wearing a coat here in Chicago, I’m getting ready for spring and cooking up a bunch of fun things to make in preparation for Passover and Easter. 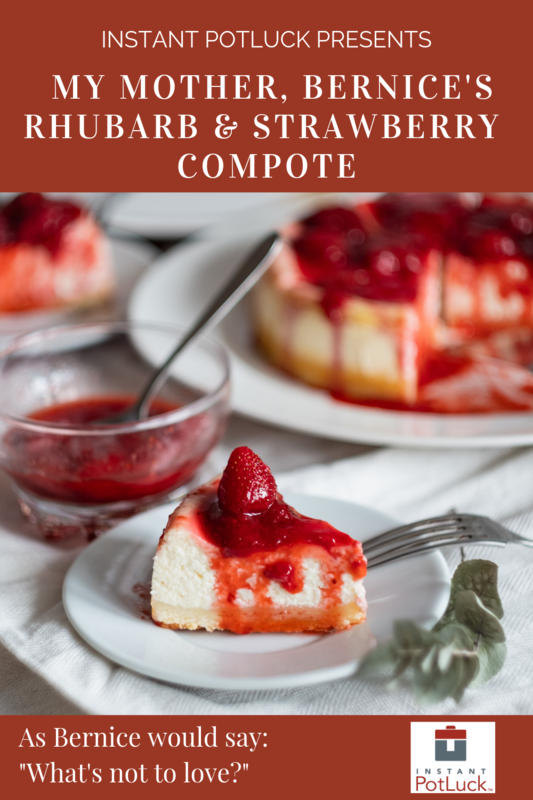 Anyway, I found a bunch of my mother, Bernice’s recipes which will be incorporated into my new cookbook, “EAT THIS, YOU’LL DIE!” and here’s one of my favorites she made when I was growing up: Strawberry & Rhubarb Compote. 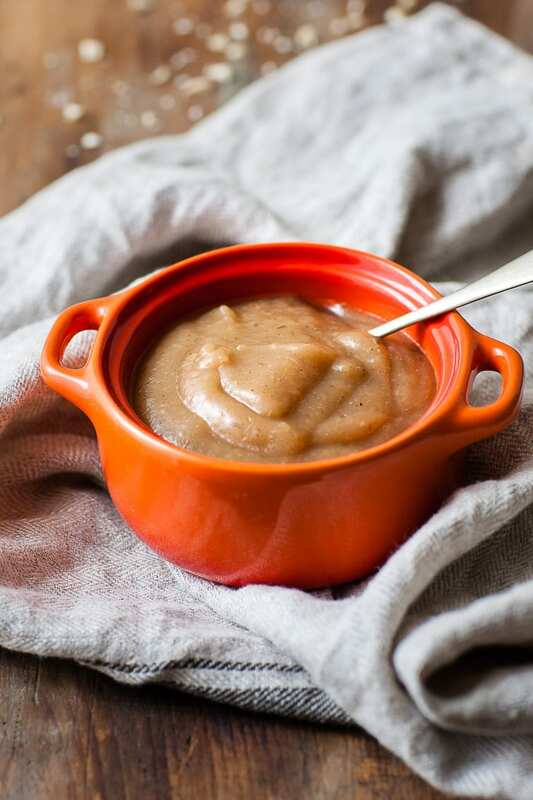 I’ve included her stove top recipe as well as how to make it in the Instant Pot. It’s gorgeous and sweet and it makes me happy… I think you’ll agree. Serve it as a side dish with ham or turkey or even serve it at breakfast over crepes or french toast — it’s something different that everyone loves and will appreciate. Whether you celebrate Passover or Easter, enjoy! (I celebrate everything. Hey, I’m Bernice’s daughter — seriously, what’s life without ham?!) 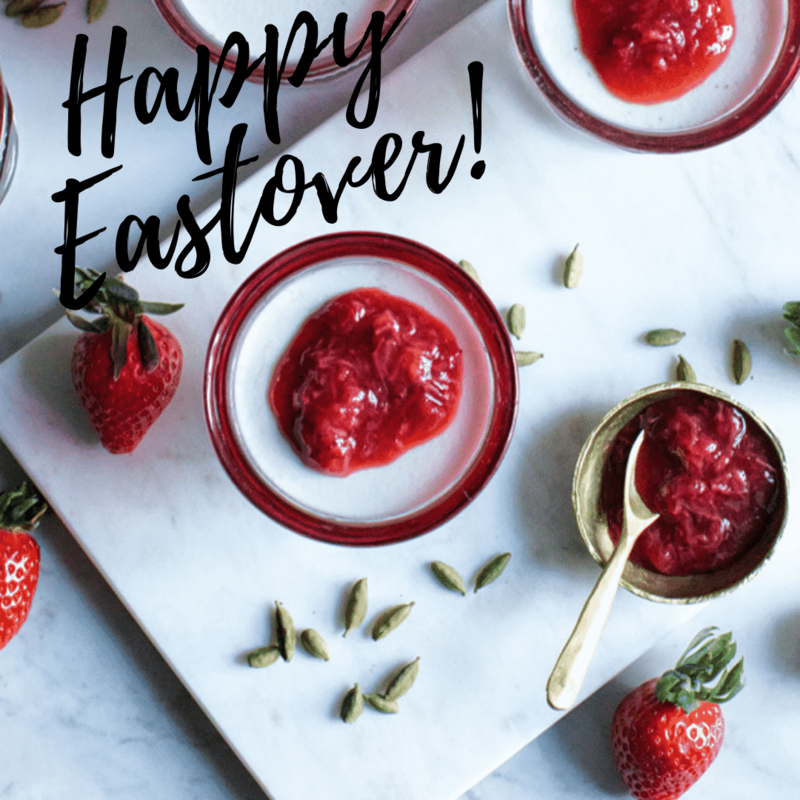 So, celebrate spring with family and friends… and have a very Happy Eastover! 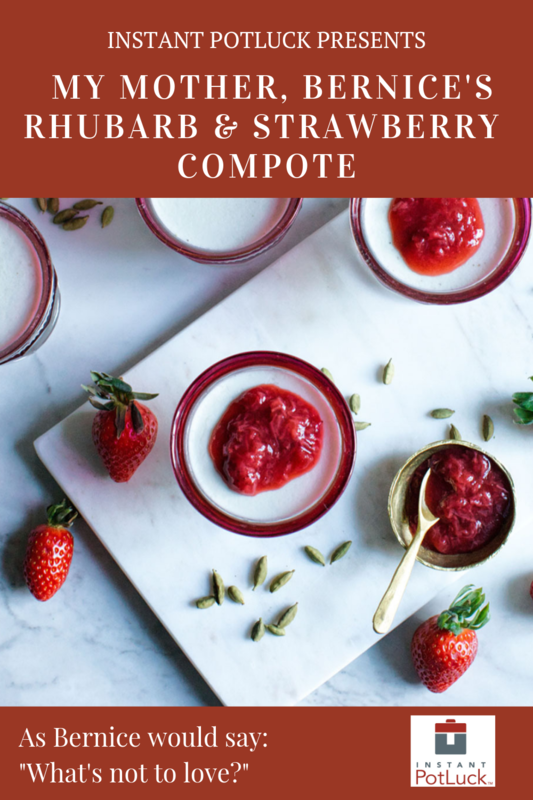 Bernice’s Rhubarb & Strawberry Compote is so easy… 3 ingredients and you have the perfect side dish or a magnificent dessert. 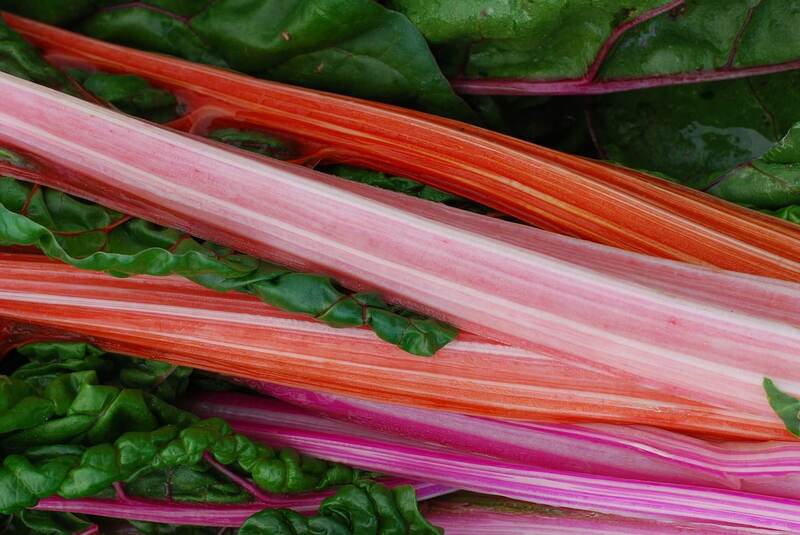 In a sauce pan, bring the sugar, water, and rhubarb to a boil (low heat) then cover and simmer until soft. 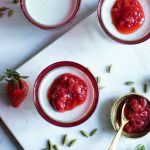 Place the rhubarb, strawberries, water, and sugar into the Instant Pot and stir. Make sure to coat the fruit evenly with sugar and let the mixture sit for about 10-15 minutes. Place the lid and make sure it is locked and valve is in the sealed position. 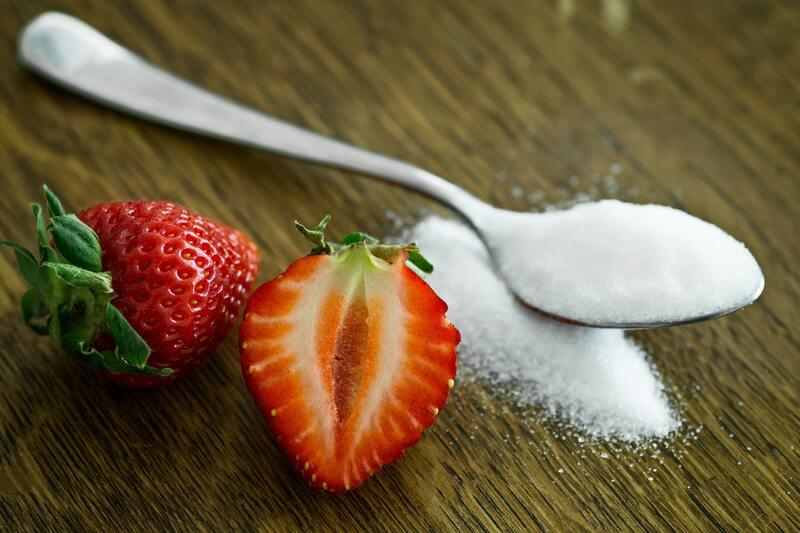 For Weight Watchers, substitute Stevia for sugar and you have a zero point recipe! 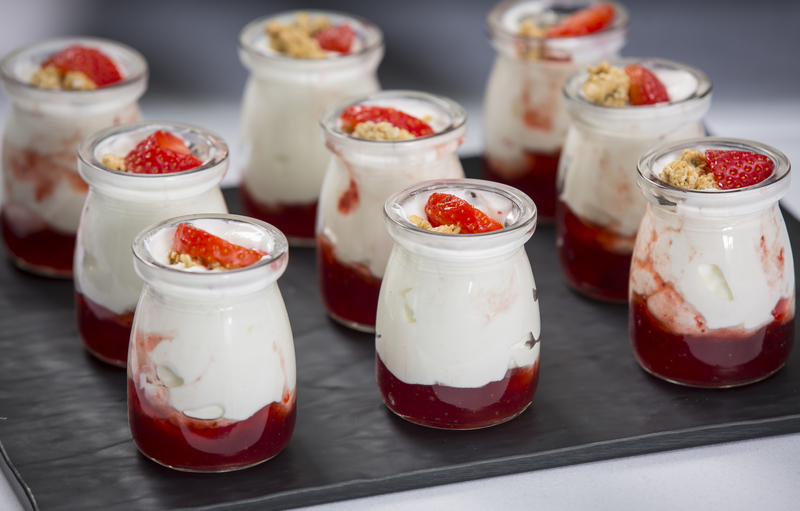 These mini-glass jars are perfect for individual servings. 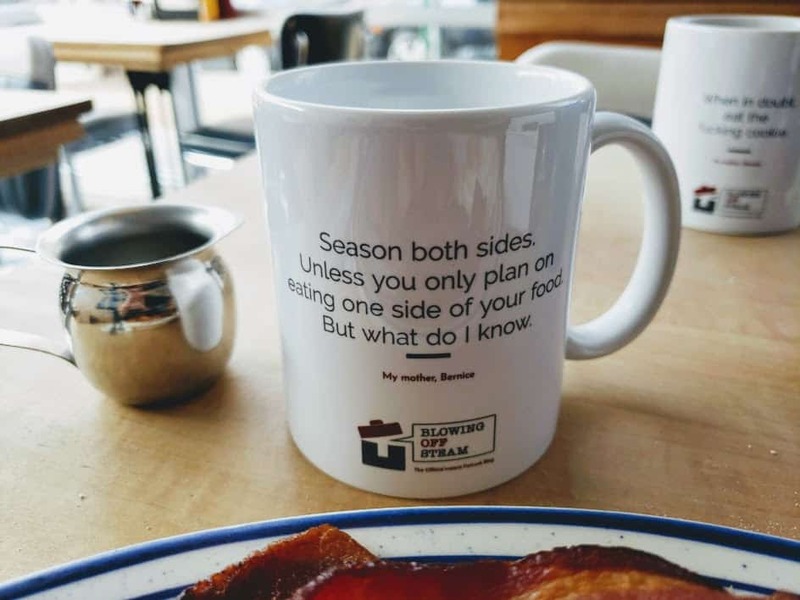 Check out Bernice’s new collection of passive/aggressive cooking tips on her new line of mugs. 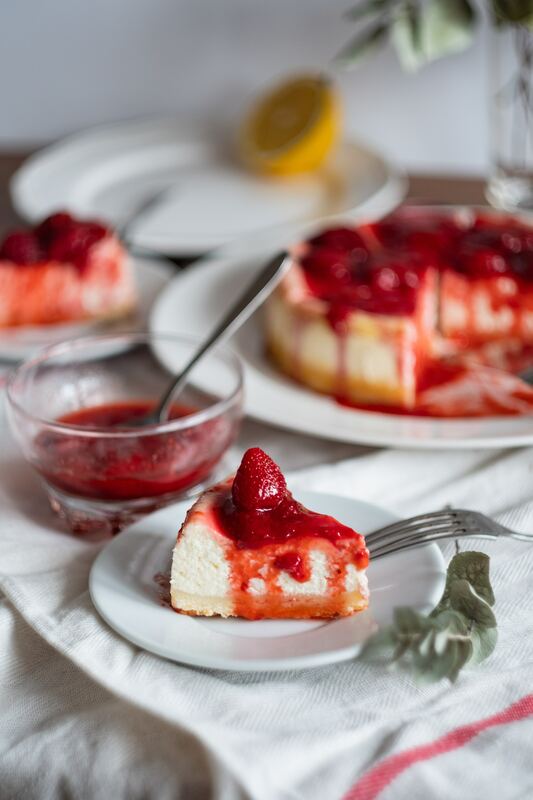 JOIN OUR FACEBOOK GROUP TO DISCUSS AND SHARE YOUR FAVORITE RECIPES… and some of your favorite cooking advice. AND PINTEREST… THE PLACE WHERE I GO TO LOOK FOR A RECIPE AND END UP CONSIDERING WHICH TINY HOUSE TO BUY.